As a homeowner, it’s important that you maintain your property by keeping up with the landscaping, exterior, and interior of your house. That likely means knowing a bit about mowing the lawn, power washing, staining the deck, and painting walls. You should also be familiar with drywall, as it’s likely one of the main building materials used inside your home. Below, A & R Drywall in Lexington, KY, explains three key pieces of information that you should know about this material so that you’re prepared to keep it in top shape. Just as there are many varieties of bricks, there are several kinds of drywall. You may need a lightweight, strong board to use for the ceiling in your kitchen remodel, whereas a bathroom will require a moisture-resistant board. Some builders may use fire-resistant drywall to improve safety in a kitchen or commercial space, while other areas require normal gypsum drywall without extra features. Drywall does not come in massive sheets that fit your wall. Instead, you’ll need to install sections flush with one another and properly attach them to studs in the wall for maximum structural integrity. Use as few sheets as possible, as joints are more vulnerable to cracking, tears, and holes. 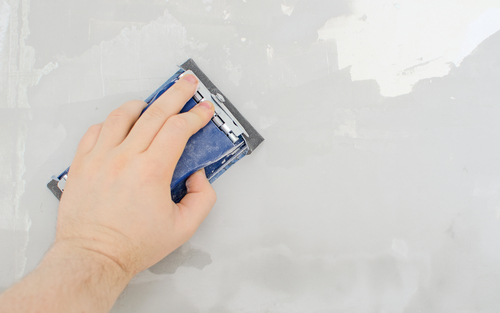 When installing drywall, sanding is one of the final stages that play a major role in the finished look of the new wall. You’ll need to sand the joints to make sure the joint compound filling the space between sections is perfectly smooth and unnoticeable. It’s a good idea to practice sanding on extra sheets of drywall to get the hang of this process so that you know how much pressure to use without ripping off the top sheet. Drywall is not just plasterboard you can use to create interior walls. There are several kinds, and all require delicate sanding to make it impossible to see the joints before painting them. To learn more about drywall—and to hire professionals trained to install it in your home or business—call A & R Drywall at (859) 272-2799. Visit the website for information on their professional contractors who have over 20 years of experience. Their skilled team offers efficient and affordable remodeling and building services.